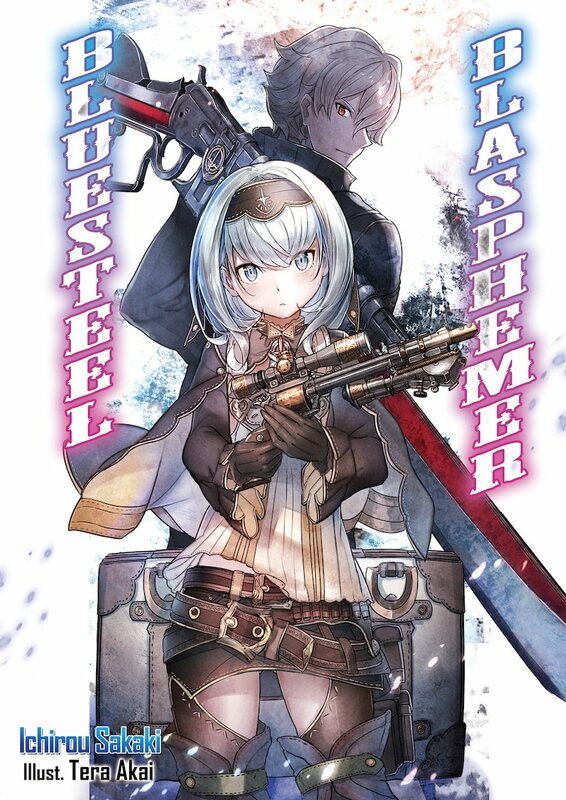 J-Novel Club has added a new light novel series to its lineup: Bluesteel Blasphemer, by Ichirou Sakaki (with art by Tera Akai). The author is known for series such as Chaika the Coffin Princess, Outbreak Company, and Scrapped Princess. There are four volumes in Japan for Bluesteel Blasphemer, which is published by HJ Bunko (Hobby Japan). Yukinari Amano loves guns. After reincarnating into another world, the young man goes on a journey with Dasa, the younger sister of the girl who gave him a second life. However, while on the road, the pair are attacked by a local deity—an “erdgod.” No normal person could possibly defeat one—so when Yukinari uses his knowledge of guns and newfound abilities to do the impossible, he becomes worshiped as the area’s new god himself! Get ready for an alternate-reality, gun-and-sword-filled, action-packed adventure! I like to read stories with modern weapons in fantasy, sword & magic world but I don’t see a lot of it. Unless I’m looking at the wrong place. Probably read the first part and see. I remember an anime for an LN called Gate, which might offer a similar concept. I’m not sure if the general setup is the same for this one.